As increasing numbers of colleges and universities require a foreign language for graduation in at least one of their degree programs, reports of students with difficulties in learning a second language are multiplying. Until recently, little research has been conducted to identify the nature of this problem. 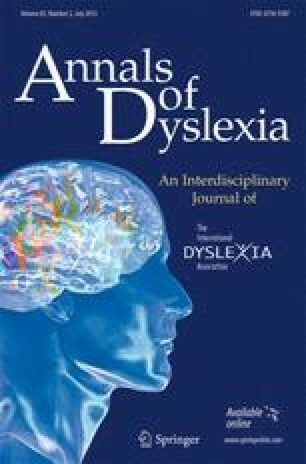 Recent attempts by the authors have focused upon subtle but ongoing language difficulties in these individuals as the source of their struggle to learn a foreign language. The present paper attempts to expand upon this concept by outlining a theoretical framework based upon a linguistic coding model that hypothesizes deficits in the processing of phonological, syntactic, and/or semantic information. Traditional psychoeducational assessment batteries of standardized intelligence and achievement tests generally are not sensitive to these linguistic coding deficits unless closely analyzed or, more often, used in conjunction with a more comprehensive language assessment battery. Students who have been waived from a foreign language requirement and their proposed type(s) of linguistic coding deficits are profiled. Tentative conclusions about the nature of these foreign language learning deficits are presented along with specific suggestions for tests to be used in psychoeducational evaluations. The authors contributed equally to the preparation of this manuscript.